​​Dogs and cats like drinking fresh running water, and if we can provide them with the best pet water fountains to meet this need, we can keep them hydrated and healthy. Pet doctors recommend using fountains that have a spacious basin, an integrated filtering system and an adjustable flow control. ​It might give you a hard time deciding which one to use, as these fountains come in various shapes and sizes. Some fountains consist of a trough that replaces water as pets drink on them, while others are designed to provide continuous supply via a free-falling system. There are a lot of things to consider when choosing what’s best for your pets and also for you. *** Click on the Best Pet Water Fountains Brands for more information, prices and details. Alternatively, scroll down below to read our overview. We put several models under strict scrutiny and went through their specification sheets. Reviews on the models were also considered. What we found out can very well guide you in your search. There are factors that matter and you have to identify them to form a basis for your comparison. Check the ones below. Capacity – The size of the pet matters as it will tell you which fountains can contain more than what it needs, say for two or three days. But you also have to check the possibility of lessening your workload by not refilling the container too often. Now, that’s something that we leave entirely to you, because you know better how big your pets are and their number. Material – The fact is hard and lasting materials such as ceramic and stainless steel are expensive, but these are also the ones that are easier to clean as they are less prone to hard-water build-up. Materials are also to be considered when checking if fountains may affect the health of your pets. For instance, plastic meal bowls and fountains can cause chin acne among cats. Filters – It is easy to turn this search into a money-wasting one just by choosing a fountain that will require changing filters often. How much will one filter replacement cost you? Cleaning and assembly – Go for one that is dishwasher-safe and has few small parts. Look at the kind of construction. Is it simple or complex? You would want something that will not force you to spend a lot of time just to clean it and make it ready for use again. Noise – Noisy water fountains can be irritating. Does it make unnecessary noise when full or when it is almost empty? Some manufacturers fail to consider that. If this matters to you, you better read reviews and know the ones which can compromise your sleep at night or your relaxation time after a hard day’s work. Height and shape – Some buyers will turn down a quiet and long-lasting unit simply because the physical make up just doesn’t match their pets. Are your pets tall? If they are, then a short fountain can give them a hell of a time drinking water. Shape matters as well. Some are easy to tip over because the base is not wide enough. Some users are happy with a smaller base, as they don’t take as much space as ones that are bigger. Longevity – Two things for this: 1) Does it break down too soon? 2) Can it be easily repaired? Aesthetic value – This may not be too important for some, since the main purpose is to provide your pets a continuous fresh water supply, but you can’t choose something that looks too catchy as to draw a lot of attention to itself or something that will destroy the overall artistic setup of your home. One that is aesthetically pleasing and blends well may be enough in this regard. We present our top ten picks. For this review, we chose five brands known for quality pet water fountains. First in our list is Ceramic Avalon from PetSafe, a pet wellness product maker that has been around for over a quarter of a century now, and we have a bunch of their models in this roundup. Coming with a dual-free-flowing-stream system, this model ensures a steady supply of filtered fresh water. It uses two filtration systems connected to a pump that continuously re-circulates water, giving oxygenated water all the time. Continuous water movement prevents bacterial growth and motivates pets to drink. The model comes with activated carbon filters for delicious-tasting water without any awful odor. Add to that the foam filter, ensuring that water is without hair and impurities, and protecting your unsuspecting pets from health hazards. With Avalon’s 70-oz water capacity, there’ll be no lack of supply for your pet. For design, Avalon is made of porcelain which is hygienic and will look great in your home setting. Water is delivered through an upper and lower dish, making this fountain great for small- to medium-sized pets and those that have muscle or bone problems. One issue though that we often hear in complaints is that the water bowl can easily get etched on the part where water flows from the top going down. Next in our list is the 360 pet fountain variant from the same company. This is perfect for owners of multiple pets as it comes with a large water basin that can hold 128-oz of water. Water cascades through 1-5 changeable free-falling stream systems designed to invite your pets to drink water and to keep their bodies hydrated. Besides the foam filter and replaceable carbon filter also featured in the above model, the 360 comes with a stainless steel construction that supports hygiene and health of pets. This model has also an innovative design that allows users to control the amount of water flow, thanks to the adjustable cap that this fountain comes with. This feature, along with the water capacity and the free-falling streams, is good enough for the money. Some people find themselves repeatedly refilling the container despite the big capacity, and that’s because there is much open space for the water to evaporate. And you might find the space between the fountain and the bowl to be insufficient in accommodating your pet’s head as it laps on the water. Check that out before buying. Here’s one that might not only be appealing to your pets but to your pocket as well. So far the least pricey among the three models, this is a 60-oz unit that’s also capable of circulating water and thus, also has the capacity to be appealing to pets. This is also a dishwasher safe unit, but might give you a hard time washing some of its small parts. In addition, with parts that are tiny, and if you’ve got children running and playing with just anything they see, you must give extra care and attention. With the construction somewhat on the low end, this fountain is simple in its looks, making it easy to blend it with the rest of your home. The black color makes it one of the best choices in terms of aesthetics. Now, the product is from China and some buyers are pretty concerned with possibilities of lead content. No worries! This has passed US strict regulations and is therefore safe for your family and pets. Overall, it’s still a good choice if one is looking at the price and just making sure that clean, hygienic bowl is provided to their pets. Another great product from PetSafe, this is a good alternative to the Avalon if you need more than 70 oz. of water for your pet’s needs. Just the same with other models from the company, this features free-falling streams and carbon filter that ensures water is clean. This fountain boasts of quiet operations and makes some soothing trickling water sound. Making sure that it is never almost empty of water and regularly cleaning the pump and filter guarantee that you have a machine that’s going to last a very long time without disturbing your sleep. PetSafe also made the pump submersible to reinforce quiet operations. Because of the construction, this is one of those fountains that don’t allow a single drop of water to splash out of the bowl. Some users prefer putting cloth underneath just in case, but there are no reports about this fountain getting its surrounding messy. And with this one, cleaning is ridiculously easy. Just separate its two large compartments and you’re ready to tuck it into the dishwashing machine. Should price be the ultimate yardstick, this water fountain is unbeatable at only less than $18. Compared to the ones above which are priced thrice or even four times more, this low-priced fountain has reasons to get a slot in our list. Topping all of its features is its multi-stage filtration system. Think of that advantage if your dog has some kind of disease that may be further aggravated by unclean water. Coupled with that is the large water-to-air surface which basically means that water oxygenation is maximized for a fresher and better tasting water. The unit comes with a filter cartridge that also works to collect debris, sediment and food. No need to clean the cartridge, as you can buy additional cartridges, eliminating time for cleaning filter and debris. You will love the ease of cleaning this unit and its filters that last a decent amount of time, but people have complaints on some aspects like the power cord and the pump. You might as well look into issues before purchasing it. If you like our number 2 entry but would want to have it at a lower price, consider this white and plastic version. It’s large with 128-oz capacity, free-falling streams, carbon filter and foam filter. The difference lies on the plastic material the white version is made of. PetSafe claims this product is safe as it passed the BPA (Bisphenol) test. Just like the other variant, this model is dishwasher safe. However, with the plastic material, it pays to have your vet check if in any way your pets are allergic to such a material. Otherwise, it’s safe. You’d also think about longevity when comparing with the above unit, as the one above is made of stainless steel rather than breakable plastic. Stain problems or discoloration is also a drawback to the plastic type. Besides these, there should be no more problem. What we like with PetSafe is that they have customer support on standby in case you need clarifications. Budget-wise, this is a pretty good alternative. Competitive in terms of cost, here’s another of our chosen plastic fountains, and we picked this up not only that it’s one of the friendliest fountains to the pocket but also because it is designed in the US and follows strict standards. With its 50-ounce size, this small-sized-pet fountain can accommodate two or three pets which are what most of households in the US have. The half-open upper space ensures water is oxygenated well and splash is prevented. Another thing worth looking at is its reservoir, which automatically adds water as pets drink. The two replaceable charcoal filters can compete with those of the above, with their ability to remove debris and impurities and their 30-day average life. In this unit, water is moved by a whisper-silent AC pump that is also submersible. The pump easily plugs in an AC wall adapter, making disconnection easy to do for refills. No problem with this unit, except that for some users, the pump is noisy. More frustrating than this is that there’s no warranty offered for this unit. For Pioneer Pet customers, you have a good alternative for the company’s ceramic unit, and this is it. The circulating water feature is also in this unit, as well as the charcoal filter that ensures healthy drinking water. This stainless steel model is a bit cheaper because of the material used. The manufacturer claims that the stainless steel makes it easier to clean than the ceramic model. Giving them the benefit of the doubt on this claim, we still hesitate to give this a better assessment. The ceramic type is more expensive, but it looks to us that it is more stable than its stainless steel counterpart. Nevertheless, the stainless steel unit seems to come with good features that are not found on others. You can move the sprout to the center and you’ll have an aligned system for smooth flow. That same technique works for making the system quieter. Another PetSafe product that’s designed for multiple pets and long-lasting durability is this platinum version. It’s made of platinum and yet it is fairly-priced compared to the more expensive units. What’s good about platinum is that it is currently used for curing cancer, and it is not an allergenic material. With an advantage of humungous supply capacity of 168 ounces, this unit is backed by a water reservoir continuously supplying the system with fresh water and lessening workload for users. The unit can be easily disassembled for cleaning, is dishwasher safe, and has a BPA free plastic material. It also boasts of the PetSafe signature free-falling stream design and the carbon filter that guarantees odor-free and debris-free water. There are reports of the reservoir having a musty smell. If that happens, just use a water-vinegar mixture for cleaning. Clean the filter with the same mixture. Filters for this unit last for 2 weeks to 1 month. This roundup won’t be complete without the colorful, versatile design of Catit. This one is like 3 units in one as it has three different flow settings, in case some of your pets are kind of picky drinkers. The varying settings are also designed to always give fully oxygenated water. The model has vibrant colors and shapes that make the unit appealing not only to animals but to visitors as well. It can be a perfect addition to your garden or patio set. It comes with about 100-L capacity, which is pretty nice when you think that it’s one of the cheapest in the list. It has a small base though, which makes buyers ask if it is easy to topple over. However, it takes up little space. It might be a good unit to buy if you have a small living space. Check the ergonomic design of this unit as it matches well with the maker’s multi-feeder. There are questions that people tend to ask. Some of the BIG ones are right down below. We’re giving you three. Does it easily flip? My pets like to tip things over. ​Pets that have this kind of behavior are often the small and active ones. If yours are like this, get something that holds a lot of water and with a bottom that sits steadily on the floor. ​For this question, money is not the only issue. You also have to think about how much attention you need to give just to make sure the filter’s clean. To save cost, get one with a filter that needs replacing only once a month. To keep that filter clean, have a weekly rinsing and brushing. This is especially for those who keep their fountains full most of the time. How do I make my fountain attractive to my cat? Mine still goes to the toilet for a drink. Is there an appealing brand to pets? ​Just in case you’re caught up in the same scene many times in a day, we’re afraid you’ll just have to be vigilant and quick acting. Once the cat is headed to the bathroom direction, get her out of her way and bring her to the fountain without saying a word or anything. After she has drunk, give her praise. It won’t take long for her to understand the difference and prefer the fountain trips. You see, it is not about the brand. It is how effective you are as a teacher to your pets. You probably have your own questions. Should that be the case, post your questions on foru​ms and even product sites selling fountains. For your own set of questions and for all the things that we may have failed to cover in this short discussion, we direct you to some of the great resources we’ve found – like this one that talks about a water dispenser with sensors (https://www.catfooddispensersreviews.com/cat-water-dispenser-reviews/) and other equally-amazing models. The discussions on chosen fountains might just give you a little bit of expansion when it comes to being knowledgeable on this matter. We’ve got some original ideas from this article from the Business Insider. It might as well be worth checking. This is the link: http://www.businessinsider.com/best-cat-fountain. It’s just so helpful to see visuals when comparing different brands. In all honesty, it wasn’t that easy to pick a winner, but that’s what we’re here for, and after careful assessment, we’re giving the crown to PetSafe Drinkwell Multi-tier Dog and Cat Water Fountain. 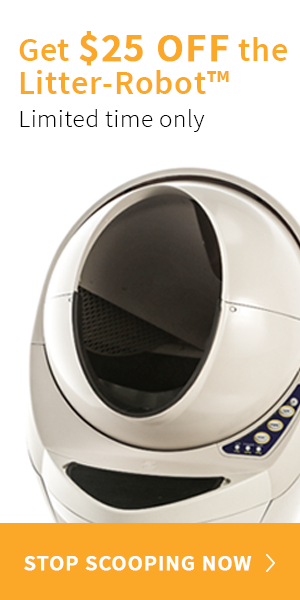 We love the free falling streams of all the PetSafe models, so we ended up comparing all their five models. By the final stretch of our research, we found this to be the one that blew the competition away. The PetSafe Multi-tier is easy to operate and maintain. It is not the quietest unit, but it is not the noisiest either. In fact, all you will hear with this unit is a smooth trickling sound that’s soothing to the ear. As long as it is not running out of water, it will always run silently. The submersible pump speaks of the maker’s intent to make a really quiet unit. The capacity is in the mid-range compared to other brands and models, so most users must have no issues with that. The smooth surfaces that it has, the few small parts and the little number of crevices make this model one of the easiest to clean and assemble. And, we can’t leave without alluding to the non-splash quality of the unit. If you’re one always worried about the cleanliness of your house, you’ve got one of the best pet water fountains a friend with this pocket-friendly PetSafe model. Next articleHow to Play with Your Puppy Without Encouraging Biting?